Triple.B.Titles|courtesy Created by ATEC alumni Paul and Enrique Dryere, “Popup Dungeon” requires players to convince game masters why they should be given an ability and how much power that ability should have. The game will have integrated voice over IP to enable these negotiations between players and the game master. Two alumni who are creating a new video game, “Popup Dungeon,” launched a Kickstarter campaign April 3 to raise funds to develop their game. The campaign aims to raise $80,000 by May 18. The game is slated for a summer 2016 release and Kickstarter backers will be able to get early access in the first half of 2015, said Enrique Dryere, one of the game developers. “Popup Dungeon” will be an easy, storyline-based roleplaying game, which allows players to create their own heroes, enemies, abilities and storylines. Enrique Dryere, one of the creators of the game, is currently developing art and managing the Kickstarter campaign. 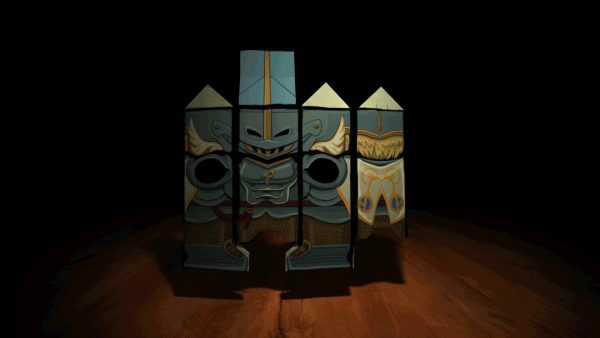 The name for the game originated from an idea of designing the game as a popup book, Enrique said. However, the mathematics and artificial intelligence required for creating a popup book game, where the game board would open up like a book, was complicated. So the team chose to create a dungeon crawl game where the tiles and objects either pop up or go down with every movement. A player who plays the game master, a wizard, who lives in the depths of the dungeons and cannot be reached except through portals, controls the game. Just like in Jumanji, the game master is interested in the abilities of the players and not the physical body of the players themselves. Players must convince the game master to give them the powers they want by negotiating for them. Based on these negotiations, the game master will decide which characters to reward, punish or help, based on his strategy to acquire abilities. Apart from the native characters the trio is developing, they are also trying to contact other indie developers for permission to import their characters from other games such as Banner Saga, Nidhogg and Minecraft, Paul said. Enrique and Paul, both Arts & Technology graduates, work alongside Courtney, Enrique’s wife, out of a two-storied town house in Plano under their family-owned company Triple.B.Titles. The company’s first game, “Ring Runner: Flight of the Sages” has already sold 35,000 units on Steam, an online gaming platform, bringing in $150,000. Unlike “Ring Runner” which used synthesizer music, the music for this game was composed by Gabriel Lefkowitz and played by an orchestra, Enrique said. Triple.B.Titles|courtesy Inspired by popup books, the characters in “Popup Dungeon” are cubical with art wrapped around them. Each run in the game can have five characters with five abilities each, and each ability can have up to five effects. Each run has up to 125 effects, and the game balances the abilities of each character against the experience of the player. One of the major issues the team faced during “Ring Runner’s” five years of development was how long the development phase stretched beyond the planned two years and the fact that the game took 399 days to be approved on Steam. Steam approved Popup Dungeon in just 11 days, Enrique said. Usually, most game developers seek funding in the early access stage, which is when an unfinished beta version is made available for gamers, but that restricts them from developing a more polished version of the game if enough funding isn’t available, Enrique said. 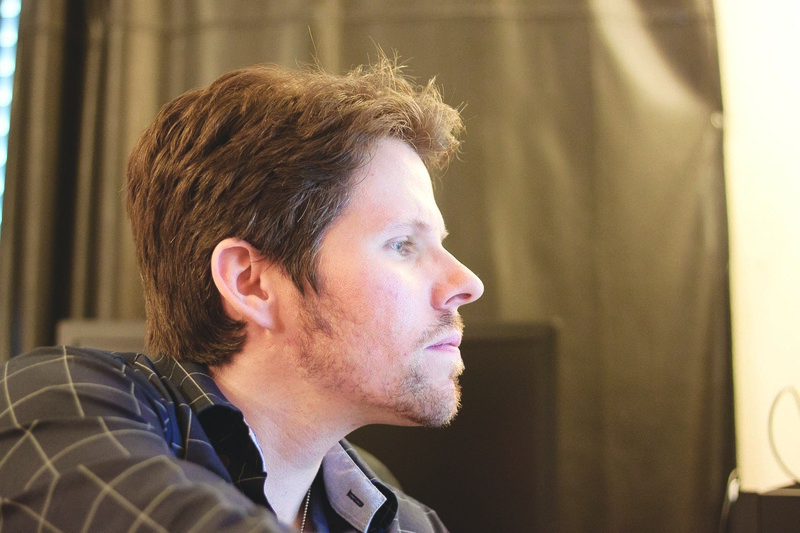 Campaigning two years in advance will allow the team to develop the best possible version of the game without depending on additional funding at a later stage, he said. At present, Enrique, Courtney and Paul are all living in the same house, working on the game constantly, with Paul working on the Unity development engine and contacting other indie developers, Courtney working on the art and Enrique on the art design and the Kickstarter communications. Meanwhile, at the time this edition went to print, the Kickstarter campaign had raised 44 percent of the $80,000 goal backed by 1,113 people with 20 days left. If the campaign doesn’t reach its goal by the deadline, all the money raised will be returned. Most of the team’s time is going toward managing the campaign, creating art to put up on the campaign page and connecting with the gaming community to support them, Enrique said. Students can get early access to the game next year by pledging their support on the Kickstarter campaign. The campaign can be found by searching for “Popup Dungeon” on kickstarter.com.